A good home inspector for very old homes? Can you ask your readers if they have any recommendations for a home inspector? Specifically, one that will have experience with old homes (really old homes -1800s old). We had a home inspector question a few years back, and some of those suggestions might still be helpful. But things change. And we're also curious if there's a local home inspector or service that specializes in checking out homes that date back to the 19th century (of which there are a not-small number in this area). Because we suspect there could be issues specific to homes of that age. So, got a suggestion for Christina? Please share! And a sentence or two about why you're recommending a person or service can be very helpful. A caution AGAINST one company- I would not use AmeriSpect. I believe they glossed over issues on my house. Mark Lassonde 518.469.6000 (Altamont) did a thorough inspection for our 1860's 10 bedroom home in Sharon Springs. Several contractors even commented on the quality of the 63 page inspection document. Depending on your larger vision of home ownership with respect to an historic house, I might also recommend meeting with an architect to inspect / discuss the condition of the existing building structure (posts, beams, foundation wall, etc). 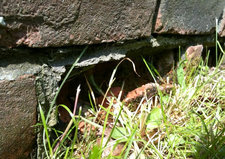 While a good inspector will be able to tell you if there is wood-rot or if the foundation wall is leaking, an architect will be able to tell you if a beam is undersized, if something is going to fall down (or not), how to fix your foundation wall, or even brainstorm with you about potential future renovations. That first meeting to discuss all of these things is usually free with smaller architectural firms. At the very least, you'll start your new home-ownership with a wealth of knowledge going forward. We had a good experience with both Blue Jay Inspections and SpecPro Home Inspections. Our house is from the 1930s, so not as old as yours, but a thorough inspection should be able to tackle all the usual issues. As Sean notes, it's probably also worth bringing in an architect or structural engineer to assess the space as well. Definitely go with Greg Sanchez! He inspected my 1853 home before I bought and found several things the sellers' previous inspectors missed. Others in Hudson/Park (where I bought) and Center Square recommended him independently. He's the best. Thanks for the recs, everyone. There is at least one name on here that we found for ourselves, so I'm glad there were only good things to say about them. And the note about getting an architect involved is definitely something to consider. Once we have the inspection done, I'll update with a comment about how I think it went. Thanks AOA and readers!